Making sure that you are clean is the first step to making sure that you are glowing beautifully. Although it sounds kind of silly, making sure that you have the right soap for your skin type is something that people spend years trying to do. Having a clean, spot-free face is key to a beauty routine, especially during the summer months where you want to use less makeup so that you don’t melt in the heat. This also seems like a no-brainer, but it’s one that even I forget to do every day. You should make sure that you wear sunscreen every single day. It kills your youthful appearance quicker than actual aging. Even on cloudy days in wintertime, wear sunscreen for the sake of your beautiful face. But don’t just wear any sunscreen; wear the sunscreen that will actually protect you from the sun, but doesn’t contain any harsh chemicals. Body and facial moisturizers are essentials not just because they keep skin hydrated, but because they make us feel like we glow when we’re wearing them. Especially when products are as natural and organic as possible, we don’t end up clogging our skin with horrible man-made product. It is yet another daily must-have on this list, because soft, moist skin makes us feel beautiful even without any other products on. This is the one thing on the list that you may not have heard of, but beauty gurus know the importance of a good toner. These miracle elixirs work for your face, making sure that it’s ready to face the day, whether that means makeup, grease, or whatever else you throw at your face. 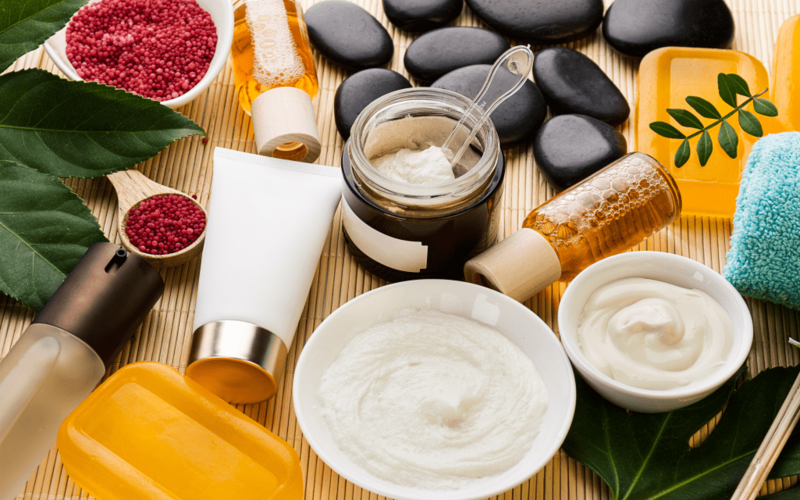 They also help to fight acne and blemishes and even the tone of your skin, but they also work with other products on your face to make sure that you retain moisture from the product you added to your face already. All-natural toners exist, but can be astringent, so make sure that if you use them, you use other products to counteract their drying effects. Just like the rest of the skin on your body, the skin on your lips deserves to be moist. You probably already have the perfect lip balm for you, but even then, I like to splurge on a super nice designer lip balm every once in awhile just to treat myself. Shea butter, Vitamin E, and aloe vera are all great ingredients to look for if you’re in the high-end lip balm market.